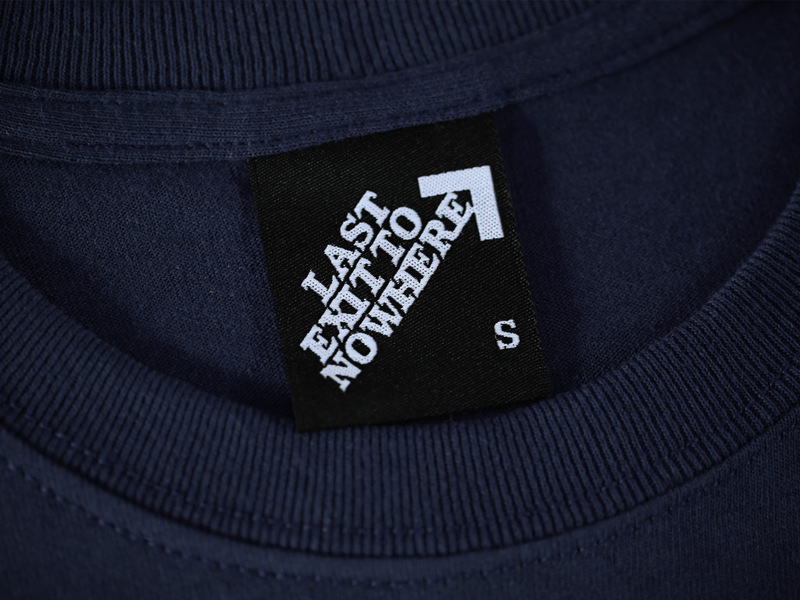 A single colour design using a silver coloured ink, hand screen printed on a fitted 100% cotton dark navy T-shirt. 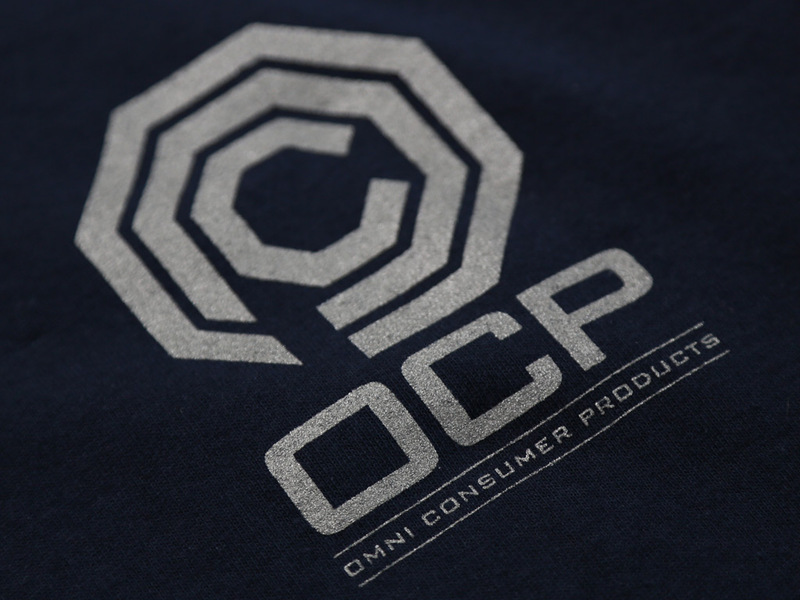 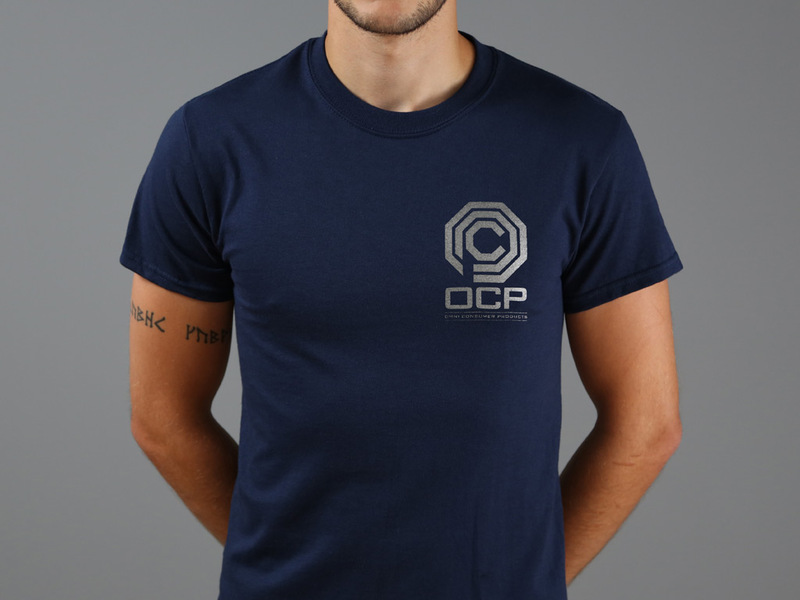 Inspired by the fictional megacorporation Omni Consumer Products featured in the film RoboCop. 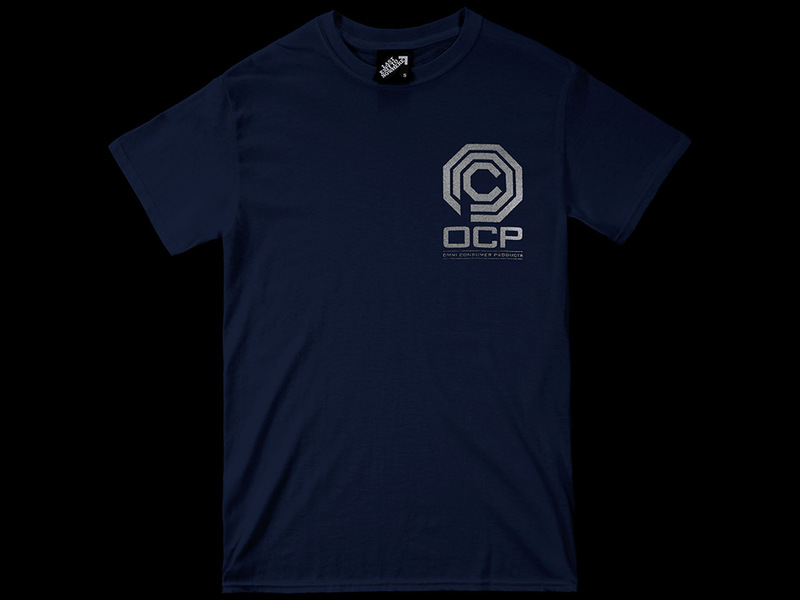 This 1987 American cyberpunk action film was directed by Paul Verhoeven and stars Peter Weller, Nancy Allen, Dan O'Herlihy, Kurtwood Smith, Miguel Ferrer, and Ronny Cox.